In 1971, eccentric journalist Raoul Duke (Johnny Depp) and his deranged lawyer Dr. Gonzo (Benicio del Toro) take a road trip to the Nevada desert to cover a motorcycle race. Arriving on the Las Vegas strip with a briefcase full of drugs, the duo has a series of unhinged misadventures. 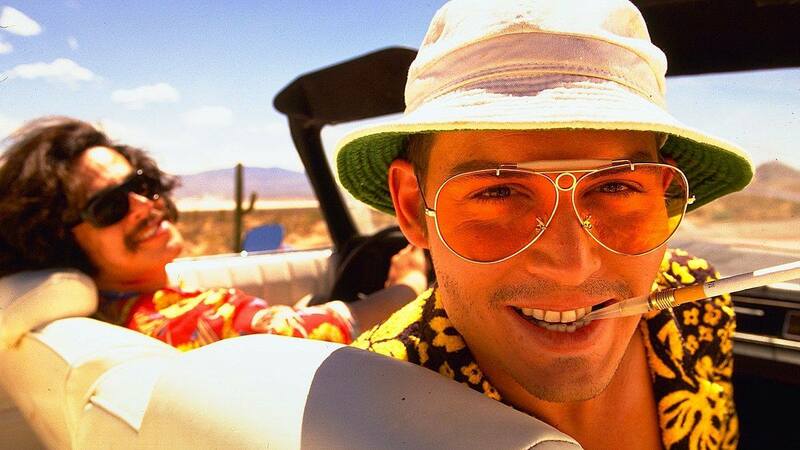 Terry Gilliam's adaptation of Hunter S. Thompson's semi-autobiographical novel faithfully recreates the book's digressive, drug-addled narrative and its most inspired hallucinations. Depp and del Toro bring a freaky intensity to their performances, matching Gilliam's surreal and grotesque depiction of America at the end of the hippie era. Watch the trailer. Directed by Terry Gilliam, 1998, USA, 118 minutes. In English.